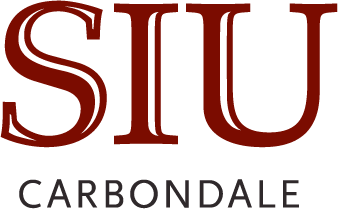 Since 1996, Southern Illinois University (SIU) has leveraged a student transportation fee to fund the Saluki Express, Carbondale’s local fixed route transit system. While there are county-level transit systems that connect to destinations in Carbondale, Saluki Express is the only one to provide local circulation in Carbondale and helps connect the campus with the surrounding community. Transit provides access to most major destinations such as grocery stores and major retailers, so students and the Carbondale population can reach most key needs. Even if students have cars, with transit they can get dropped off closer to classes than by driving because parking lots are located at the perimeter of campus. The lack of free parking is also an incentive for students to ride transit. SIU’s Department of Residence Life notes that the availability of transit service is very important to students to get across campus and to apartment complexes east of campus. “The bus serving those areas is always full,” says Student Center Director Tena Bennett. Transit is important to parents because their students can easily attend SIU without a car. Parents also like knowing there is a late night bus route, so there is always a safe way for students to get around. Students from Chicago—many of whom do not have driver’s licenses and expect the availability of public transportation—are a major driver for why the campus values transit. Southern Illinois University puts a large emphasis on sustainability and is rated silver through the Sustainability Tracking Assessment and Rating System (STARS). This includes having transit access, as well as having programs that encourage transit, biking and walking. No free parking is available on campus; juniors or higher can purchase commuter student parking: $140 for a space close to the center of campus or $60 for parking on the outskirts of campus. More than 80 percent of SIU students live within a 50-mile buffer of the Amtrak rail line to Chicago. Amtrak is a critical service to faculty, staff and students. “On weekends the train is loaded with students from Chicago,” says Kyle Harfst, Executive Director of the SIU Office of Economic and Regional Development. Now there are only two trips per day and SIU would like more frequent trips. Many staff from SIU take the train. While there can be delays due to freight interference, the service is very important economic connection for professionals doing business in Chicago. Southern Illinois University is served by the Saluki Express service funded by the university. The community is also served by county-to-county bus service and Amtrak intercity rail.